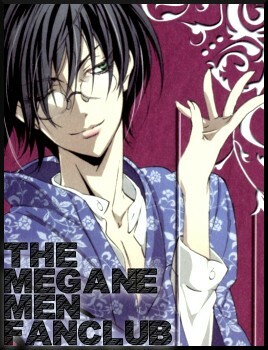 Note for the members: Megane means Glasses. Not Sunglasses, or Goggles, or anything that Glasses are not. Monocles do count though, since they're basically glasses cut in half. P.S: We're looking for a banner or userbar. If any of you megane men lovers wants to make one, just tell us. Thanks.